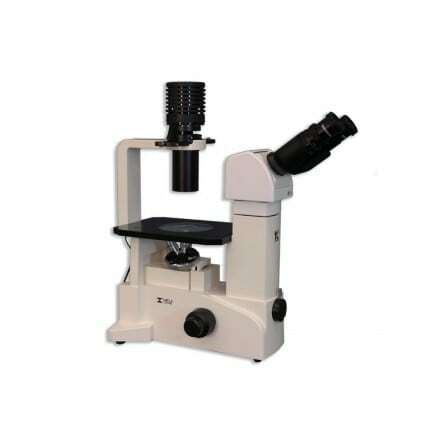 Our latest inverted microscope line is the cost-effective TC-5000 Series Inverted Biological Microscopes. The TC Series makes routine examining of tissue cultures, microbes and other live specimens in petri dishes and culture bottles fast and easy while delivering an excellent performance-to-cost ratio. 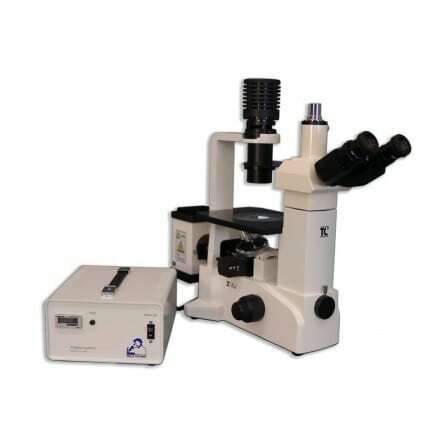 The TC Series is available in brightfield, phase contrast and epi-fluorescence models. The TC5000 Series Microscopes have an integrated front mounted camera port with adapters available for 35mm, CCD/CMOS and other cameras. 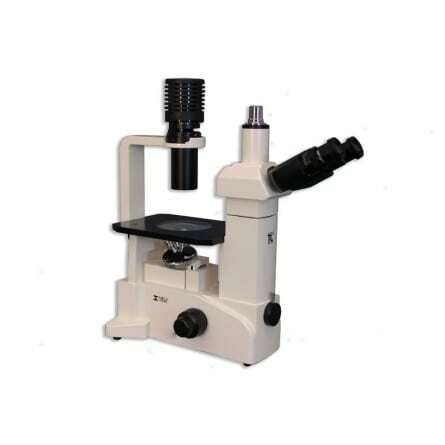 C-5100:Binocular Inverted Biological Compound Microscope, with ∞ Infinity Corrected Optical System, F-200MM with 6V 30W Halogen Koehler illumination with quintuple nosepiece and auto voltage sensing power supply. 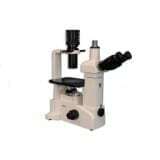 Binocular models, the TC5100, TC5300 and TC5500, incorporate the MA814 Siedentopf-type binocular head while the trinocular models, the TC5200, TC5400 and TC5600 have the MA816/10 Siedentopf-type trinocular head. The MA816/10 uses an 80/20 beamsplitter that can be engaged for photo-microscopy. (100% to eyetubes or 80% to phototube and 20% to the eyetube.) 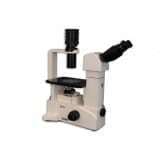 Each microscope head has the eyetubes inclined at 30 degrees with the left eyetube having graduated diopter settings. The interpupillary distance on the viewing heads is adjustable between 53mm – 75mm. 10X Super Widefield High Eyepoint eyepieces are standard and 15X and 20X eyepieces are also available as an option. A Super Widefield High Eyepoint 10X focusable eyepiece that accepts standard 25mm reticules is also available. The optional attachable mechanical stage measures 112mm(X) x 72mm(Y). It has ergonomically positioned right-handed coaxial drop down controls. 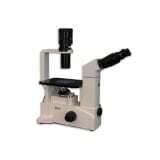 It also accepts the following optional accessory plates: 35mm, 55mm, 65mm, Petrie Dish Holders, 96-well Terasaki Plate Holder, 1″ X 3″ glass slide holder, Hemacytometer holder.Slide, chamber, and petri dish holding plates of various sizes are available separately. The standard condenser has a working distance of 73mm. A powerful 6 volt 30 watt halogen bulb with pre-centered socket provides enhanced image quality and brightness for the observation of specimens. • TC-FS/PT#4: Filter Slider with 3 positions filter holder with Brightfield position and MA879 and MA880 factory installed.